If you and I think alike on the subject of "good sound," you probably found the title of this review, well, annoying. Audiophilism can be an annoying thing, and audiophiles themselves can be quite annoying about their audiophilia. It can be sort of like talking to someone who's really into, like, I don't know... cheese. Or something. You know what I mean - they don't just love it, it's part of their identity. And we should be thankful for those people, because it is they who lead us to experience wonderful and life-changing revelations like "hey, some goat cheese actually is pretty good!" or "wow, Grado headphones do look like they're from the 30's but sound amazing!" 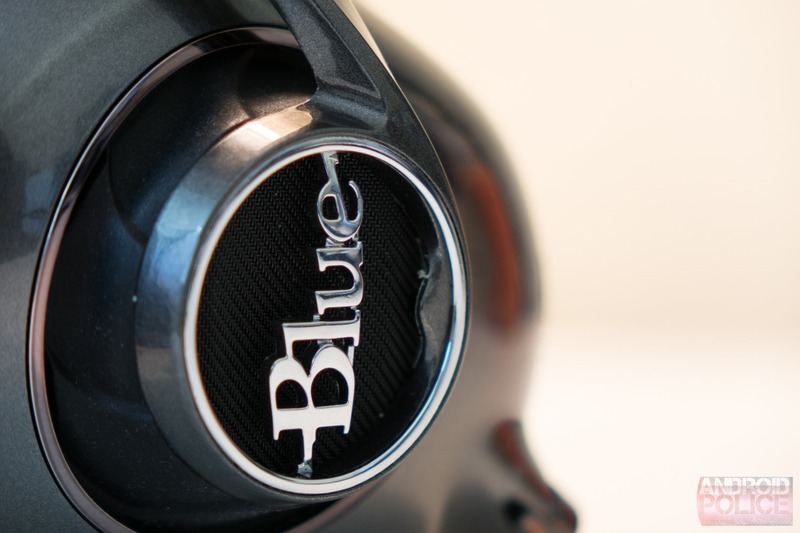 Blue Microphones' new Mo-Fi headphones are goat cheese. They are really goaty goat cheese - downright pungent. The MoFis assault your senses with their bold and shameless bigness - aesthetically, tactilely, and physically. Weighing a whopping one pound - that is heavy for headphones - the MoFis would be at home in the future... as we imagined it in the 1960s. This is not a bad thing. It's also a thing I would say about some of Blue's microphones, which can be expensive and gorgeous. The MoFis, then, are already not for everyone. They are big, heavy, bold, and not wireless. They are also, speaking in the everyday sense, expensive, at $350. This makes them even more already not for everyone, in fact, they are not for most people. So please know before you scroll on down to the comments section that I understand this. I get it. "$350 for headphones lolol" is just sort of stating that this product isn't for you and that you wouldn't consider buying it to begin with, and while that's a totally understandable thing to think, it's not exactly valuable discourse. 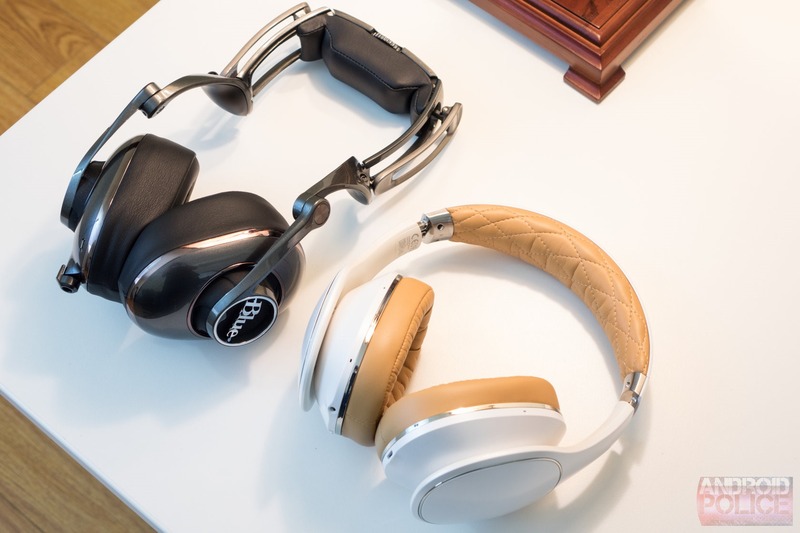 For those people who might be interested in a premium headphone, the MoFis do offer some compelling advantages over pretty much any over-ear headphone on the market when used in conjunction with a smartphone or tablet. What is it? The first mainstream wired headphone to incorporate an internal amplifier solely for the purpose of sound quality. Why is it? Because your smartphone, tablet, and laptop don't have very good amplifiers. Using a good amp makes your music sound better in various ways. How much is it? $350. Is it worth it? 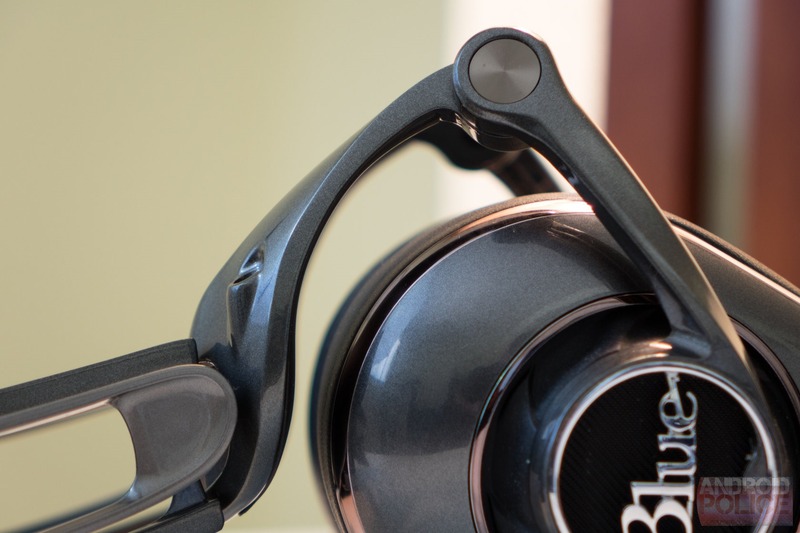 The MoFis are unlike any other headphones out there right now. For the right person, they may very well be worth the price of entry. I love the way they sound through a smartphone or tablet. Even put up against my beloved Grados, the MoFis win every time. They really are outstanding for listening on mobile devices - that amp makes a very hearable difference. For being so heavy (over 1lb), they're surprisingly comfortable, and they adjust to fit almost anyone's head. They even include a dial that controls the headband tension. They're very heavy-duty - the entire folding arm and headband assembly is made from some sort of metal (my guess is steel). ON+ mode (which adds extra bass and mids, but not a lot - just enough to give music more texture) is by far my favorite of the two active modes on the MoFis. My music has never sounded so alive and rich coming through a smartphone. They come with 2 audio cables (one 1.2 meter w/ inline controls, one 3-meter without), a 1/4" adapter, a two-prong airline connector / attenuator, and a USB wall charger / cable. SO. BIG. These headphones are not the sort of thing you just leave hanging on your neck. They're large, heavy, and don't fold up very compactly. They come with a carrying bag, you'll probably use it. There is significant RFI (line / radio noise) on some smartphones when the headphones are turned on but not playing music. The LG G3 is especially bad. You can get around this by only switching the headphones on when playing music, which eliminates the noise. More on this in the review. Build quality seems a bit rinky-dink. They're heavy-duty, but sort of like an old pickup is heavy-duty: indestructible, but prone to random loss of trim pieces. This could just be early days sort of production issues, though. The looks are not for everybody. Personally, I'm not in love, but I don't find them offensive or anything. The first thing you'll think when you see the MoFis is "those are some big effing headphones." Even compared to Samsung's plusheriffic Level Overs, the MoFis look portly, and they are. Weighing in at over one pound, they're some of the heaviest headphones on the market, and on top of that they're just straight up large. For being in the super heavyweight class, though, the MoFis are comfortable and don't have fatigue much worse than any other big, over-ear headphones I've worn. They're not going to stand up to ultra lightweight on-ears for comfort, but they're pretty good. Even folded up, these are big headphones (and I say "folded up" in the limited sense that they do fold up), and you'll want something to carry them in. Around your neck, that one pound feels a bit heavier than on top of your skull. The reason the MoFis are so heavy is, presumably, all the metal construction. 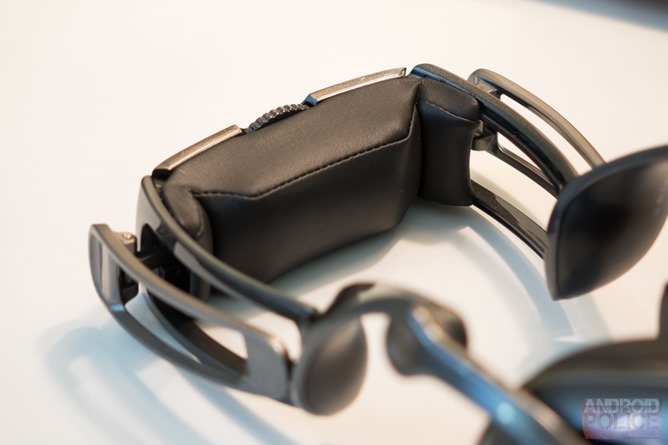 The headband and folding arms seem to be made of enameled stainless steel, and as such they lend a feeling of great durability and strength. 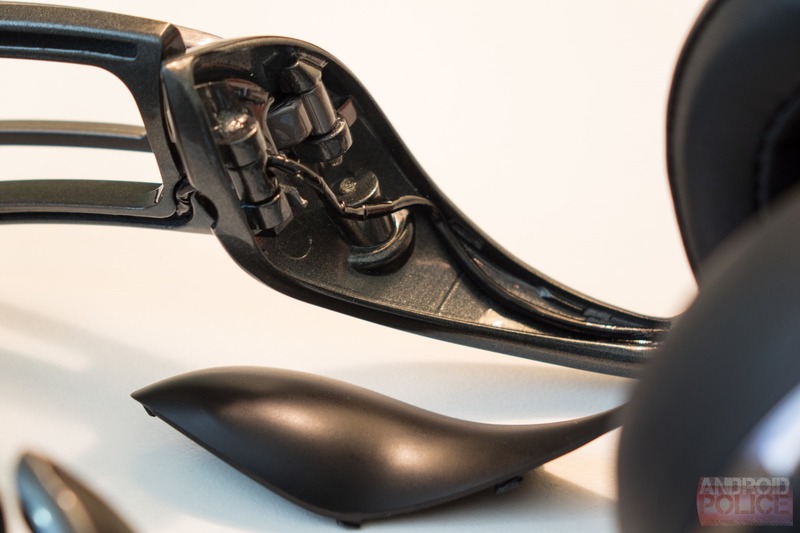 Still, the plastic piece under the arm of the right ear popped out on my review unit and snapped one of its plastic hinges (it still sits in there OK, it's just slightly loose), and the action of the folding arms themselves has a substantial amount of play in it. Neither of these things affect comfort or listening, they're just not lending a feel of superb fit and finish. 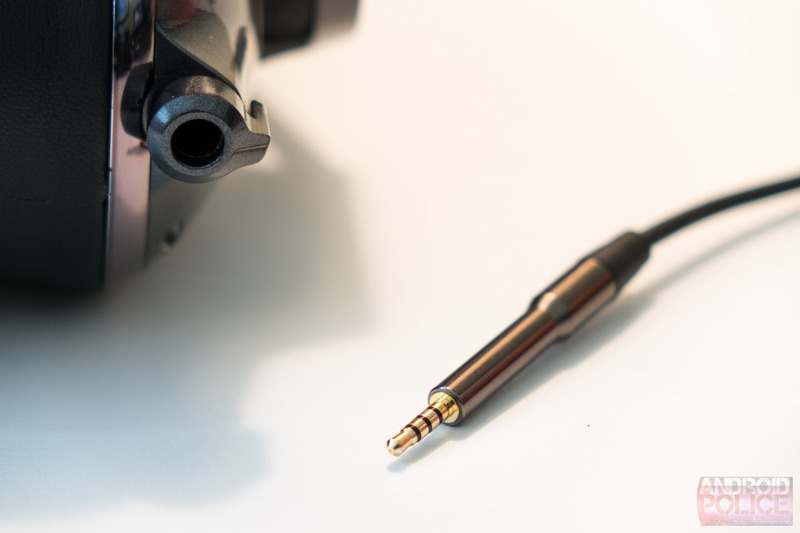 There are some random spots on the headphones where I've found errant glue, and the mode switch can feel pretty vague sometimes unless you really twist it good. Most of these quirks - which is what I'd call them, since they're not really harmful - are what I would chalk up to early production issues. Being that the MoFis are built in China, Blue is probably still working out how to get the most consistent result possible on the assembly line, and in refining certain hardware pieces to feel a little more tight and polished. I'd cut them some slack, because the rest of the product is pretty amazing. The one thing I'm not so in love with functionally on the MoFis is the headphone jack setup. You have to use Blue's included cables with the MoFis because the jack that plugs into the headphones isn't a standard 3.5mm stereo, but a much rarer 2.5mm 4-conductor jack. Adapters would be an option, but Blue has recessed the jack itself deep inside the headphone so that the cable doesn't put pressure on the jack when it's pulled on (smart choice for durability, not so much for interoperability). So, don't lose those cables. One of them is also 3 meters long, so don't worry, musicians / DJs. You'll notice that the MoFis have a microUSB charging port and a little switch on the left ear labeled "OFF/ON/ON+." As a reasonably normal person, you would likely assume this means the MoFis are wireless headphones with wired playback capabilities, but they're not. The MoFis are 100% wired, 100% of the time - this switch controls an amplifier in the left ear phone housing, which is why the MoFis need a charging cable. The MoFis are the only wired headphone I'm aware of shipping with a battery-powered amplifier not being used for noise-cancelling purposes, so this makes them inherently interesting. 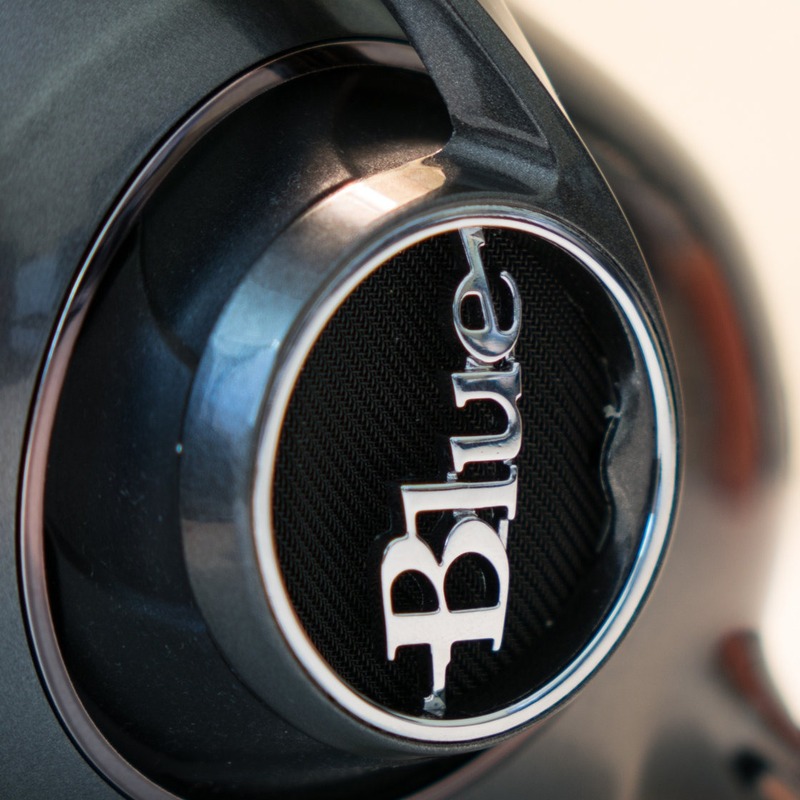 Blue is an interesting company, and they don't usually make products outside of their primary business (studio microphones) that don't cater to a specific need or provide some sort of enhancement over existing options on the market. The company's Yeti USB microphones have dominated the product category for years now because they're simply unrivaled for features and quality. 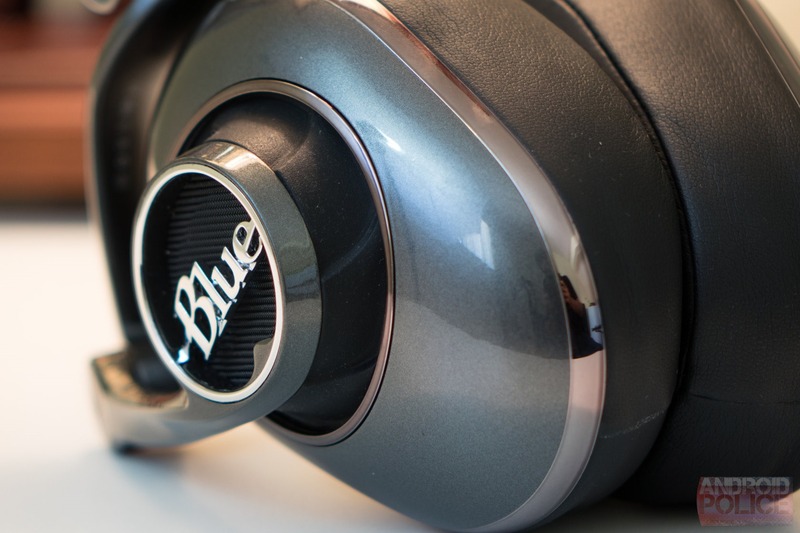 Blue wants MoFi to do the same for mobile audio experiences. 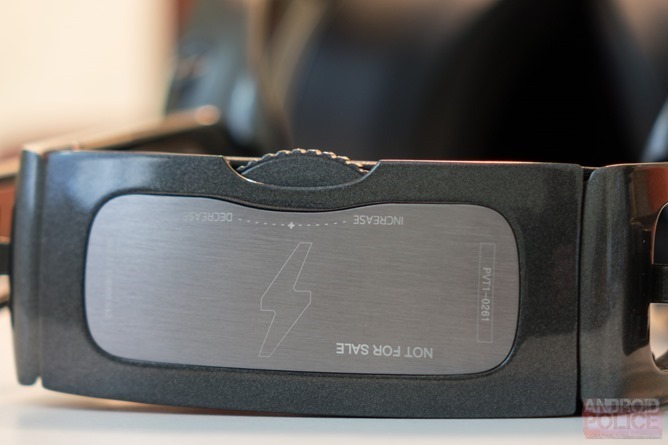 Why would you want a headphone with its own powered amp? That really is the key question, and it's one many people outside of the audiophile world would probably never ask to begin with, because analog audio tech isn't exactly in vogue quite like it was 40 years ago. The simple answer is "it makes things sound better." The long answer is, well, longer. This is all strictly analog, by the way: there's no DSP or other digital trickery involved. With over-ear headphones especially, your smartphone or tablet's built-in amplifier that sends signal to the headphone jack has a fair bit of strain being put on it. This is because driving big headphones takes more power than, say, a set of earbuds - this should make sense intrinsically to most people, just as a function of the size of noise-producing element (the driver). When your smartphone or tablet is operating at 80-90% of its maximum volume, that amplifier is already well past the point at which it will begin noticeably distorting the output signal. Smartphones and tablets will likely never have very good amps in this sense - feeding signal from a smartphone into high-impedance headphones will probably always result in some distortion. These devices are so small that they simply don't have the room (or power to spare) for a good headphone amp. As an illustration of just how real this limitation is, the Nexus 5's headphone amplifier can put out 22.24mW of power at maximum (the iPhone 5 manages 32.46mW). This is more than enough to drive most earbuds and even some low-impendence on-ear headphones without much distortion. The MoFis, though, feature a 240mW amplifier. That's more than ten times as powerful as a Nexus 5's. While that doesn't necessarily mean it has ten times the output range before distortion occurs, it does mean there is a whole lot more headroom you have to play with, and that the volume output (level of amplification) from your phone can be set much lower (and thus less distorted) since the MoFis provide their own amplification. With the MoFis, I set my G3's volume to 30% for comfortable listening, as opposed to the 80-90% my Grados require. The question is whether Blue's method works in practice as much as it does on paper. After a few days of testing back and fourth between several sets of headphones, smartphones, and an iPad, I'm fairly convinced it does. The MoFis provide superior detail and what I would call "tightness" compared to the same track listened to on my Grado SR80is, and in the ON+ mode, provide more texture and mids and lows that the high-impedance Grados just can't seem to pull down on a smartphone. The Grados also suffer from rare instances of clipping at the very high output volume they need to work with a smartphone. The MoFis, on the other hand, just work once they're turned on. They provide truly excellent instrument separation, very good soundstage, and extremely natural-sounding mids and highs that are sometimes lost when my Grados were pushing the smartphone so hard. I tried this with both a Galaxy S5 and an LG G3 and achieved similar results. On my iPad Air, the difference was less noticeable, but I'd say it's still definitely there. 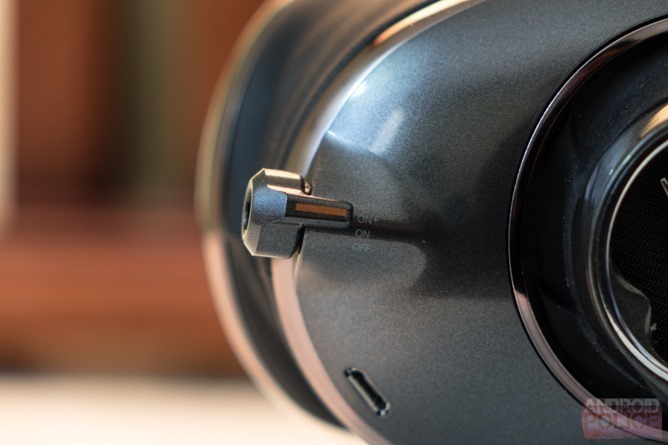 The MoFis are going to be the headphone to beat when paired with a smartphone - they're just that good. Compared to Samsung's $350 Level Overs, forget about it - the Blues absolutely crush them for fidelity and dynamic range. The Samsungs sound compressed, empty, and gutless by comparison. Does the advantage over the Grados translate to the passive, unpowered mode, though? Not quite. When plugged into my desktop PC's sound system, consisting of a Schiit DAC and an Onkyo stereo amplifier-receiver, the Grados showed once again that they really are the best value in the business. Their wide open soundstage and extreme sensitivity allowed the Schiit and Onkyo to shine, producing sound that was more natural and less grating. The SR80is are a bit of a freak in this regard, though, being open-backed and very high-impedance - they were designed for a stationary, high-end audio setup. In passive mode, the MoFis sounded more muted, had a narrower soundstage, and simply weren't as pleasing to listen to. As for using them in active mode when already hooked up to a sufficiently powerful amp, there's no reason (you'll actually just make things sound worse). So, does that make the MoFis a bit of a rip-off compared to traditional passive headphones? Well, that's sort of like comparing a Fuji apple to a Granny Smith - in the culinary world, each is suited to a particular purpose better than the other may be. Big, high-impedance passive headphones with open backs (Grados) are a decidedly niche product, and aren't nearly as well suited for some situations as the MoFis are. The MoFis are without a doubt the better choice for listening in public (no noise in or out) and are simply superior for listening on devices like phones, tablets, and laptops because of their built-in amplification. In that sense, the MoFis are really the first wired headphone designed specifically for high-quality listening on the go. This isn't an advantage to be ignored - there are a sizable number of audio purists toting around headphone amps with their phones and tablets (V-Moda even sells a $600 DAC/amp/case/battery combo thing) out there, and the MoFis are a product that says "you don't need to do that anymore." That's compelling. They could also be seriously interesting to those in the music creation or editing business - you'll be able to get a more realistic feel for tracks no matter what device you're listening or working on. As I mentioned in the "not so good" header, the MoFis can produce rather grating electronic noise when hooked up to certain devices. The LG G3, which has known issues producing RF interference in line-out audio gear, is by far the worst offender of all the phones I tested. The issue did not present when the MoFis were in passive mode (off), but only when turned on. Even then, if music was playing through the headphones the inference vanished - it was only an issue when the system wasn't playing back audio. And no, it wasn't just the sound of the music muffling the noise - it did just go away. I also noted a very slight "buzz" when the MoFis were hooked up to the Galaxy S5 and I'd touch the screen. Again, the issue wasn't present while audio was actually playing. The other issue I ran into is that on the G3, at least, switching the headphones into ON/ON+ mode often caused the phone to believe there was no connected audio device at all. Switching to off or unplugging the headphones fixed this, and switching to the active modes once music had already started playing resolved the issue. This isn't something Blue can really control, so I don't blame them for it, and sort of comes down to the fact that some phones and tablets weren't designed to be hooked up to actively amplified wired headphones. I found no device, however, where the headphones outright wouldn't play or experienced interference that persisted during audio playback - they were always crystal clear when the tunes started pumping. Curiously, there were zero issues at all with interference when using them with my iPad Air, which is probably a testament to the fact that Apple tends to care much more about audio performance and compatibility with 3rd party audio accessories than your average Android OEM. Despite their occasional quirks, I really do love the MoFis. They produce amazing audio when paired with a smartphone or tablet, and that's exactly what they're built to do, not something you can say of really any other wired on-ear headphone out there right now. Like I said, Blue has a reputation for building products that just do things competitors' don't, and not simply for the sake of it - the MoFis are a very serious and unique headphone in an increasingly mobile-focused personal audio market. At $350, they're well-above the price many people are willing to pay for a set of headphones, but they're still less than the cost of buying a good discrete mobile amplifier and set of closed-back audiophile headphones, and a lot more convenient, to boot. 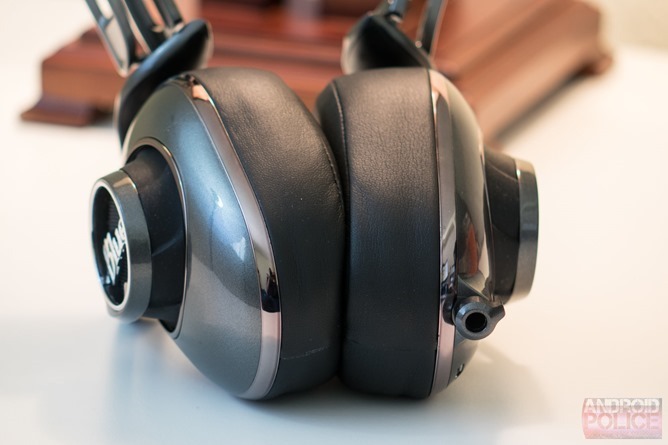 And as audiophile headphones go, $350 isn't crazy, even if it isn't cheap. The thing about the MoFis for me is that, at the end of the day, my music has never sounded this good played through a smartphone. Sure, I can sit at my desk with my computer's discrete DAC and amplifier and wear my Grados, but the MoFis let me have a comparable experience wherever I can take my smartphone, tablet, or laptop. As someone who loves good sound, that's a seriously attractive proposition, $350 or not.